We at Lost in Montgomery are huge fans of The Capri movie theater. We link to it over on our side bar and consider it one of the most important institutions in the city. It is truly one of the things that the city can be proud of and is something that you can brag to your friends in other cities about. We were fortunate enough to get an interview with the director of The Capri, Martin McCaffery. What’s your official title and how long have you been at The Capri? Have you always been into films and how’d you get into this current job? Director. I’ve been here since Nov 1985. 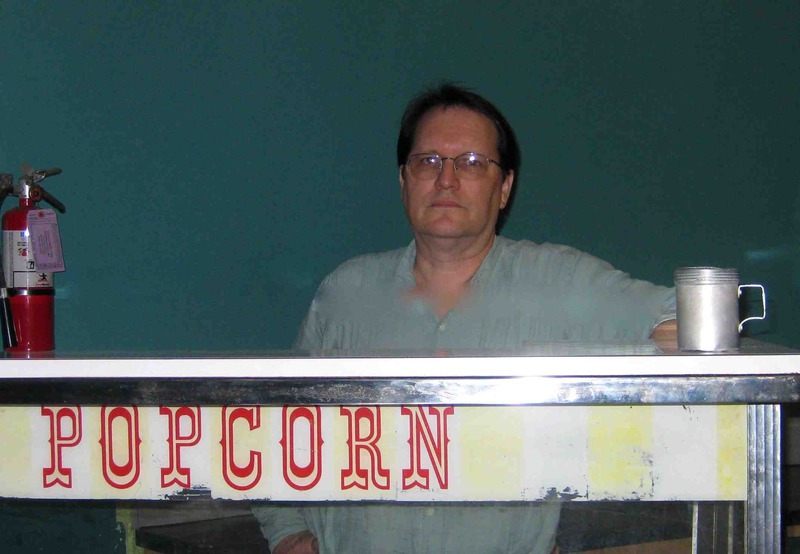 I’ve worked in the exhibition industry since I was an usher in HS (1974-75) and was a projectionist from 1976-1985. My getting the job is a long story involving a visit to Montgomery, rejection, subtrafuge, questionable decisions on many people’s part, and me being really bored with my previous job. How are things going generally? Worst attendance since 1991. Fortunately, unlike 1991, we have a nestegg to get us through, thanks to My Big Fat Greek Wedding. My totally uninformed guess would be that there’s some competition from Netflix, but that you have a pretty steady market of people who want to see fare that doesn’t come to The Rave. A steady but way too small market of people. NetFlix isn’t really competition, more like where they go after they’ve missed it here. The whole indie biz is doing its much predicted (by me) collapse right now, so all art theatres are hurting bad this year. We try to follow all of your various promotions and themes, like 80’s Week or the Summer Matinees for kids. Tell us a little about the responses to the various promotions. The dreaded kids matinees got off to an above average start this week. We generally cater to daycare centers, but the last couple of years we’ve had a large number of walk-ins. There must have been a burst of reproduction in Cloverdale the last few years. 80’s week is the first time we’ve tried something like this in 20 years. Rep films don’t usually do much for us, but since no one is coming to what we are showing anyway, I thought we’d try to lure in some unsuspecting post-boomers. The theory is, they’ve seen these movies a million times on TV, but never in a theater. Sort of the Wizard of Oz approach. We’ll see what happens. What do you think about the direction of Montgomery generally? We get a lot of negativity when we tell people that we live here, but we are excited to battle that and be civic boosters and improve the place where we live. Do you see hope or a city that is slowly rotting, or what? Hope is not part of my vocabulary about anything 🙂 Montgomery is very different place than when I got here. I’m glad they are finally trying to save the downtown, too much of that’s been blown up in the last 24 years. You weren’t around during the Emory Folmar days (or were you?). Just imagine Montgomery being run by local talk radio. We were excited to see that you were allowed to start selling beer. Was that a huge breakthrough or just one of a long string of improvements to the kinds of things you can offer? Any other goals on the horizon in that regard (or infrastructure, or whatever)? Selling beer and wine (and tobacco and pseudophedrine if we want to) was a big breakthrough. Alas, there hasn’t been anyone here to drink it. The big improvement this year is to redo the concession stand and repair the bathrooms. We don’t own the building, and the owners won’t sell, so we can’t do any of the major work and renovation we’d really like to do. When I was in high school, I remember there being a huge freakout about the movie Last Temptation of Christ. Were you here then? Any other moments when you felt like cinema was at the center of some sort of cultural moment? I doubt there were actual protests or people upset that you screened a film like Milk or Bill Maher’s Religulous, right? No problems with Milk, though I remember when the aforementioned Folmar regime tried to stop the AIDS Quilt from coming to town, and maintained an AIDS list. As I said, things are very different in many ways now. Picketters really boost business! This entry was posted in Uncategorized and tagged awesome movie theaters, cinema, The Capri, Things Montgomery. Bookmark the permalink. Thanks for this interview. I’m a Capri fan also and am sending in my Capri Film Society membership renewal today. And I admire Martin for patiently taking tickets, selling concessions and keeping the theatre running for so many years. Great post, I haven’t been there in years but would love to go support it sometime. I’m loving this blogs flurry of new posts. I’ve been on the board of the Capri for several years and I enjoyed the interview with Martin and appreciated the good vibes thrown the Capri’s way. He is a relentless champion of the theatre and the past few boards have given him some good tools to broaden it’s appeal. Look for more good things to happen in the future. I just found Lost in Montgomery and I have to admit I can get lost in it for hours. The writing is excellant and the honesty is refreshing. I will definitely be following your blog in the future.